If/when you update your unit packs (I suspect they are waiting for you to settle on your weapon pack - which is fine by me), I would like to suggest that a basic Rifleman unit be made for each Class. Its frustrating that the Recon Classes don't have one. Also, it would be nice if the DA Units Class had a Rifleman [AT]. Additionally, I hope your new CQB rifle variants are made the standard loadout for the DA Units. 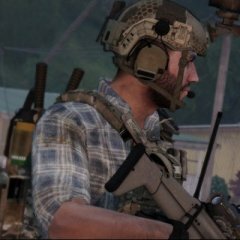 Yes I'm already working on the units, I'll release an updated version of all my packs after A3 official release, and they'll be off course equipped with the best fitted weapons of my weapons pack (DA units will have CQB M4\HK416). Roger.... thanks a lot man!!!! the addon is amazing! Loving this mod Massi Keep it up man! 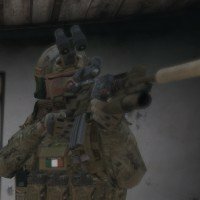 Are you waiting for Arma 3 release to update? How soon post-release can we expect the update, without being specific? No pressure! I am updating all my unitâ€™s packs, and in this is the first pack thatâ€™s been updated, shortly Iâ€™ll update also my other packs to be compatible with A3 final release and latest version of my NATO SF\ Spetsnaz weapons pack. Since the introduction of DELTA Force, the factions are now divided in USSOCOM DEVGRU, USSOCOM DELTA Force, USSOCOM 75th RANGER and USSOCOM Special Support units, in all the different camos combinations, to have the units deployable from desert, to wooden to arctic areas, plus DELTA units include Field Ops operators in civilian\guerrilla clothes to conduct undercover operations. There are a lot of changes and youâ€™ll be able to find them in the changelog\readme, both for units and vehicles, wich come now with dedicated textures. -Retextured A3 vehicles: Quad, MRAPs, APC, Boat, Speedboat, SDV, Static weapons, offroads, choppers wich have custom crews and gear loadout. 4- The USD ghost camo is really good but we don't have all the stuff with the ghost cam wich is bad. Anyway nice release ! for the next update can you put your backpack on the unit pack and not on the weapons pack ? Hi Thanks a lot ;) ! well yes I didn't manage to texture the turrets, hope I'll find a way to do it , my tan is more on the brown than the BI ones wich is more greenish. Also the balaclava nvg are in the gear ammoboxes and in some unit's inventory (units with balaclavas) , during the day they just show the balaclava, but during night when you use nvg . "NVGoggles_mas_mask", "NVGoggles_mas_mask2", "NVGoggles_mas_mask_b", "NVGoggles_mas_mask2_b", "NVGoggles_mas_mask_t", "NVGoggles_mas_mask2_t"
you'll see both balaclava and nvg models. Update release frontpaged on the Armaholic homepage. Can I use this mod for general play, or do i have to make a mission and include everything? very nice update. Multicam looks good. definitely improved since my last try. -I like the skull logo. maybe some cool one painted on the hood of an offroad? -Perhaps some SOAR emblem / patch painted on the choppers? -exchange all NVGoggles for NVGoggles_OPFOR ? Black looks more.. realistic! Some talented mission maker should sÃ³ make an awesome "MoH-Tier-1-super-high-speed" campaign with them as lead characters. The custom helmets need to be polished up a bit, so do their textures!